Through our API Management Platform, link to hospitality POS systems through a single cloud-based interface to embrace real-time analytics, mobile payments, ordering, and loyalty. Ideal for web apps, mobile apps, or analytic platforms! 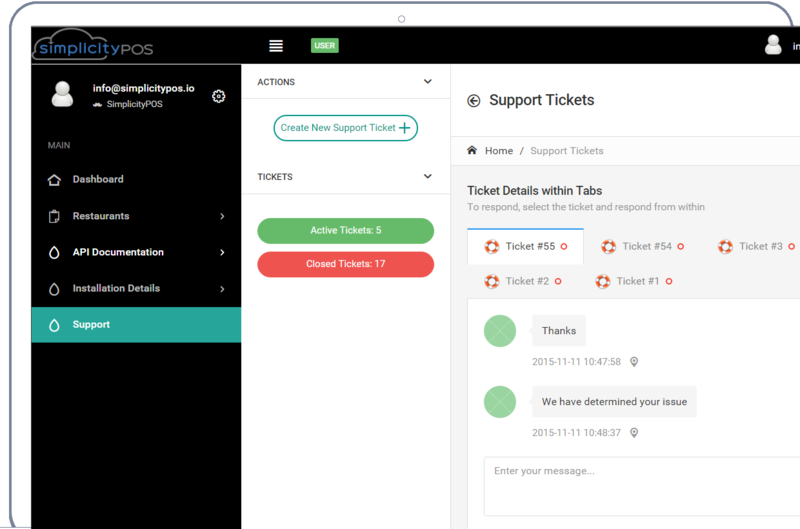 Using our proprietary Webhook process, we can send you updates within seconds of them happening on the POS. 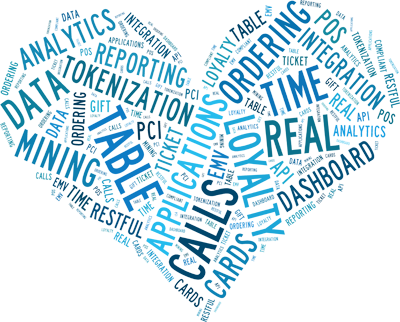 Our API is fully documented to make your integration simple and easy! No more worrying about all of the painful POS API documentation! Want customization? We can help and make our solution fit yours! By maintaining your integrations within our platform, we cut the cost for your in-house development significantly. Not to mention, we offer a PREMIER product for the BEST price. We connect you to the POS so you don't have to! Spend less time worrying about POS Integration and more focusing on your core business! Simple to use and tons of functionality! Not only is SimplicityPOS’s RESTful API extremely easy to use, the results are plain text and ready for your interpretation. Don’t fuss around with POS providers’ messy APIs. With SimplicityPOS, integration is simple, results are simple, and managing our platform is simple. Run on Simplicity. We also have DOZENS of STANDARD calls and a unique, proprietary WEBHOOK solution that is configurable by you! Our unique Patent-Pending solution is a secure gateway to the point-of-sale. With seamless POS integration, create a new life to your application. SimplicityPOS is safe and secure. Simple as that! SimplicityPOS currently covers >65% (and counting) of all POS Systems! Our single RESTful API connects you to multiple POS systems. Once you install our client on the POS, our Patent-Pending technology will do the hard work. With SimplicityPOS, get instant access to multiple POS systems. Now available on DINERWARE, MICROS, and POSITOUCH, FOCUS, and 2TOUCH! The SimplicityPOS API is more than just an interface, it’s an entire platform! 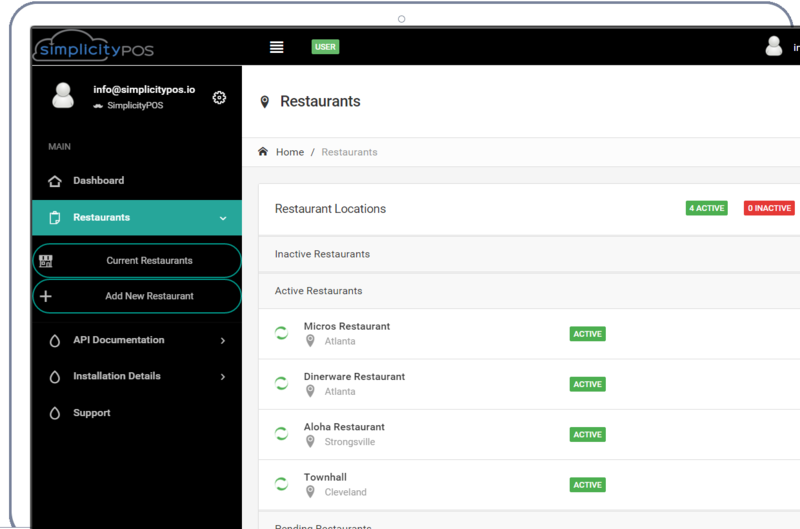 Easy to Navigate Dashboard providing REAL-TIME Information about your restaurants! Create an account today for FREE and check it out! We support several point of sale systems--but you only have to connect to a SINGLE API. Don’t waste your time on POS integration–let us do that. Through our unique platform, you can connect to not 1, not 2, but MANY different types of POS systems! What does that mean for you? Integrate once and never again. As we add point-of-sale systems, your application is ready to go as long as you are on our platform. We are constantly adding new POS systems and with over 65% of the market already, you are sure to find plenty of locations to work with from the go. At Simplicity, we want to truly be your one stop solution for POS connectivity so we are always adding new POS systems to our line up! Got a question? We’ve got an answer. With our team of developers, engineers, POS experts, and support specialists…we will always have a solution for you. SimplicityPOS offers the fastest and most comprehensive customer service with a team of dedicated experts…it’s that simple. Not to mention, our fully documented APIs will never leave you hanging. 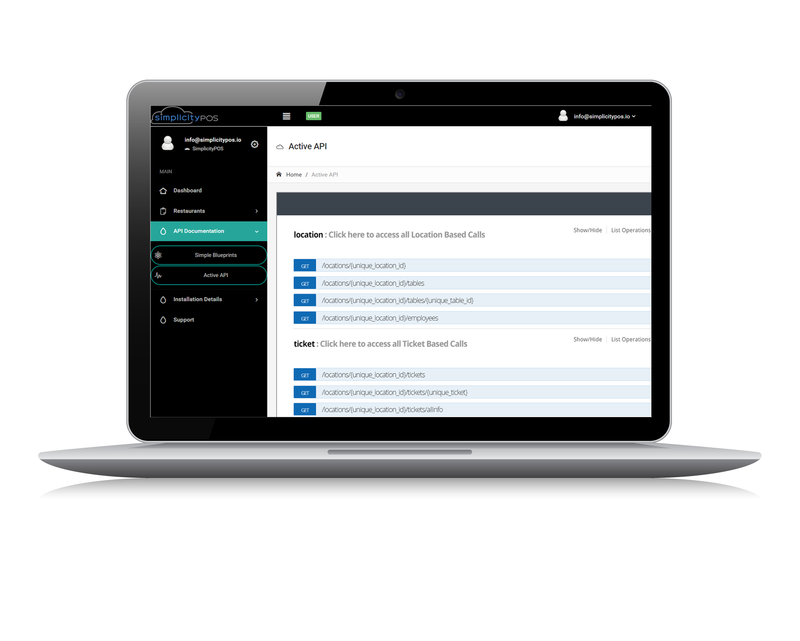 With step by step installation instructions, an active API testing playground, and a virtual point-of-sale system…you will find everything you need right within the dashboard! We've built our platform as Simple as possible...with YOU in mind! Everyone hates POS integration. It’s tough, painful, and something no one should ever have to deal with (except for our engineers, of course). When we designed our system, we were thinking about YOU the whole time. By interfacing through a single API to connect to multiple point-of-sale systems, you never have to worry about POS integration again. We will manage all updates to the various APIs, new functionality offered, versioning, etc. Want to send payments? Not a problem! We have partnered with various gateways to make this possible using a multiple number of processors/gateways! Get the information you need as soon as it is available! No more polling! We have created a unique, proprietary Webhook solution developed in-house by our POS experts to bring you information from the POS as soon as it is available. Our solution does not simply poll the POS; instead, we monitor the POS directly for changes/additions and will notify you within seconds of those changes to ensure you are ALWAYS up to date. This solution reduces CPU usage for the POS and greatly increases productivity of your application. NO MORE POLLING!